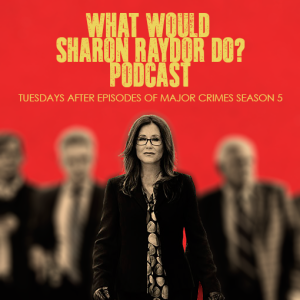 Welcome to a Special Edition of the ‘What Would Sharon Raydor Do?’, Podcast with Mary McDonnell. This episode features Mary with Maggie and Nachelle as they take on an important topic. This entry was posted in MCTV Exclusive, News Stories, WWSRD and tagged WWSRD by admin. Bookmark the permalink. I totally agree w/ you Mary, What’s why I REGISTER & voted early in October. as always great to listen to open true indepth with every issues on and off the show.great show and cast.thank you sharing. This was a great podcast. Mary McDonnell is amazing. This podcast was fantastic! I have been a staunch Hillary supporter from the beginning primarily because I believe she is the best choice to lead in a world with so many different uncertainties. But I also believe very strongly that she can handle the responsibility of becoming president. Running for office and actually doing the job are two very different things. It takes a lot for someone to sit in the Oval Office and accept both the good and bad things that come with the job. This podcast did a great job with regard to exploring the reasons beyond simply liking or not liking the candidates. And it was refreshing to hear other people articulate those reasons outside of my own circle of friends and family. Thank you for sharing your time, intellect, and your beautiful heart! Huge love! !